What do you get when you combine Coulter and Ellison? A fast paced, nail biter of a thriller! Someone has hacked the computers of the highest levels of government. How could something like this happen? They all use the most sophisticated and impenetrable programs and firewalls. All from the same company. Could the hacks be done by a disgruntled employee or are they being infiltrated by the very person who designed the system? Along with a mysterious book of unknown language that has at the forefront twins descended from Vlad himself. Bodies are piling up, key government officials killed in full view of the public and no one saw a thing. Other bodies are showing up having been bled dry. For What? This was everything and more I have come to expect from these authors. Very good collaboration! These two are a powerhouse on their own but together it’s Whoa! This sounds like something really interesting. I might have to look at getting this. Yes I’m good, how about you? Not bad thanks. Trying to do my own thing. Interesting! 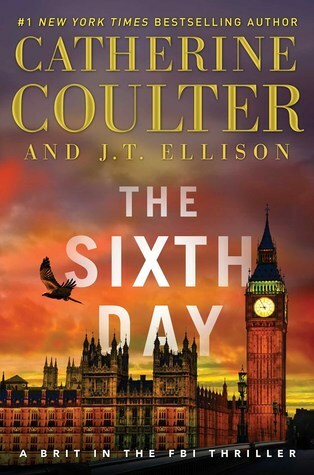 I’ve read JT Ellison before but didn’t realize there was a partnership on a different series! Sounds like a winner. I enjoy both these authors alone and together. Nice review.